Sony DADC at the CES 2018 – the global stage for innovation. As already in 2017, the CES in Las Vegas dazzled the world with a glimpse into the future of consumer electronics. 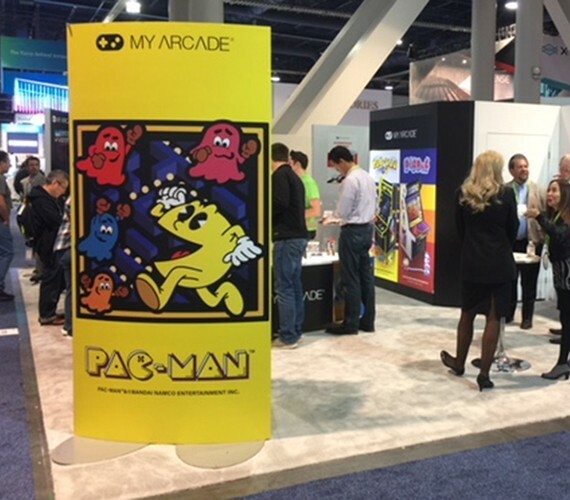 Our Consumer Sales team attended the event to support our strategic partner dreamGEAR, who were exhibiting with the My Arcade brand, and also took the chance to investigate potential new brand partners. From 9th to 12th January, more than 3,900 international exhibitors showcased world-changing technologies that spanned more than 2.55 million net square metres of exhibit space across Las Vegas – the largest show floor in the CES’ 51 year history. From major international brands to the more than 900 start-ups, the amazing event truly reflected the vibrant global tech industry. There were 860,732 tweets about the CES 2018 and 450,554 uses of the #CES2018 hashtag. Chris Spearing and David Cornwell from our Consumer Sales business unit made the most out of the high density of innovative ideas and potential new partners. They walked more than 10 kilometres a day, getting around the event, which spanned across the whole of Las Vegas, looking for new interesting brands to bring to Europe. Alongside next generation TVs, robots, drones, wearables, smart home utilities, etc., our team also emphasised our position as a leading end-to-end supply chain provider in Europe at our partner dreamGEAR’s booth with approximately 30 meetings. dreamGEAR announced new licensed products with Bandai Namco coming later this year under the My Arcade brand. Retro gaming is an exciting growth category. 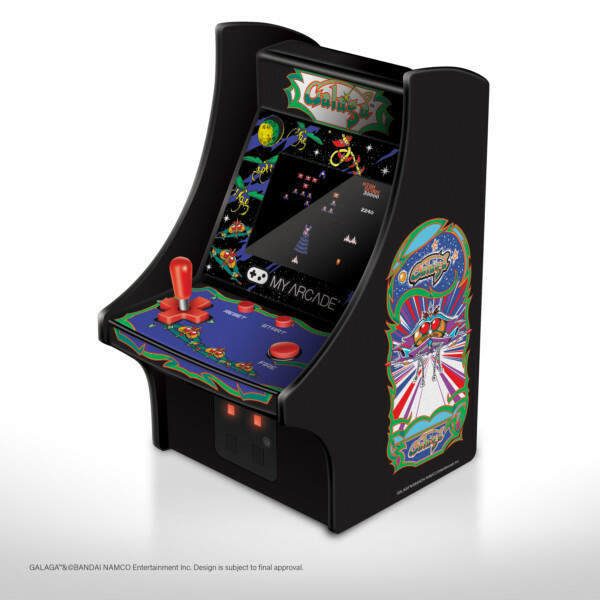 Our partner’s My Arcade mini arcade cabinets and handheld consoles with Data East and now Bandai Namco provide new 8bit and 16bit games such as Pac-Man, Dig Dug and Galaga. These re-invented products were well received by consumers and retailers alike at the event. 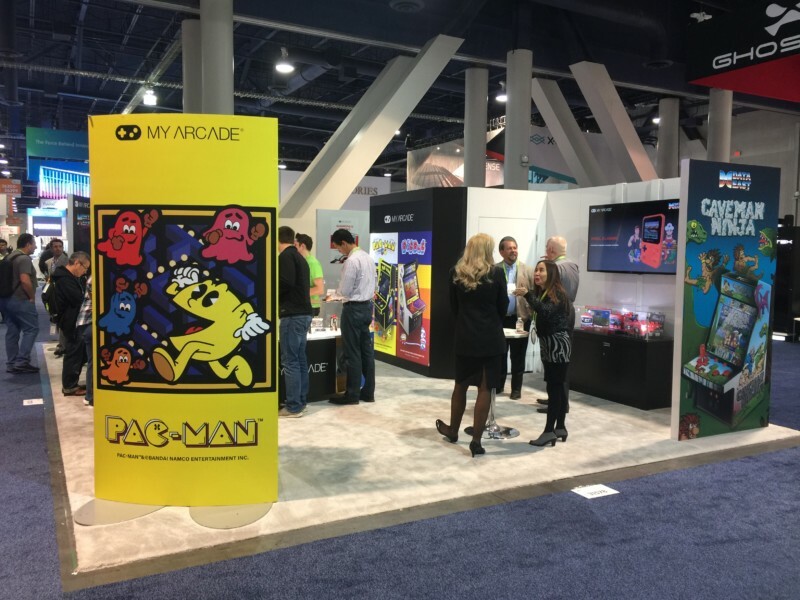 My Arcade’s Bandai Namco partnership is hugely important in the fast growing retro gaming segment. 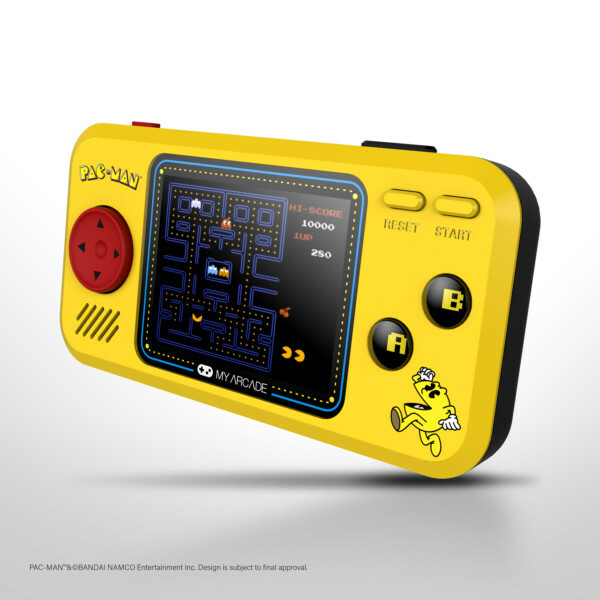 Let’s face it, who doesn’t know Pac-Man? 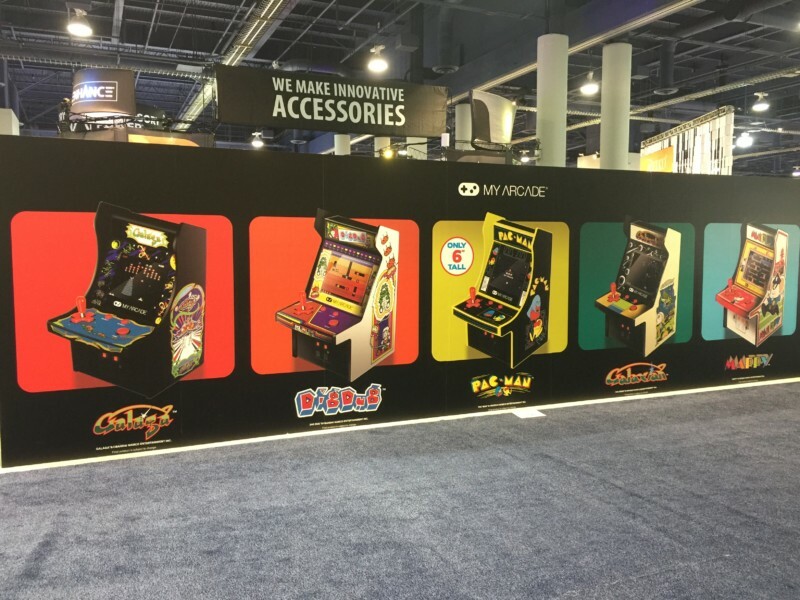 More and more retailers have got behind retro product and merchandise and Bandai Namco holds some of the biggest intellectual property in this space. Want to know more about our Consumer Sales? Get in touch!